The Ukrainians will be able to travel to Schengen countries without visas in weeks. President of Ukraine Petro Poroshenko hopes that Ukraine in October will receive a visa-free regime with the EU. 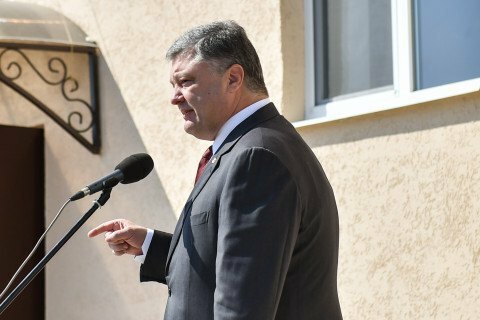 "In a few weeks, I hope, in October, we will have a visa-free regime [with the EU]," the president said during the opening ceremony of the new kindergarten in a village in Dnipropetrovsk region. On 3 September, Poroshenko expressed confidence that the Ukraine receive a visa-free regime with the EU in the fall will. On the same day, the European Commissioner for Enlargement and Neighbourhood Policy, Johannes Hahn promised to grant visa-free regime to Ukraine and Georgia in 2016. On 20 April, the European Commission has suggested the European Parliament and the EU Council to abolish visas for Ukrainian citizens, saying that Ukraine has successfully fulfilled all the criteria for visa liberalization. On 5 September, the European Parliament Committee on Civil Liberties, Justice and Home Affairs heard the report on the liberalization of the visa regime with Ukraine. The then rapporteur of the European Parliament on Ukraine Maria Gabriel offered to give Ukraine visa-free regime. The final decision on the issue of liberalization of visa regime for Ukrainians is expected in October.